Newport Beach, Calif. — January 23, 2018 — Jetbuilt’s powerful A/V sales and project management platform will now include multi-currency workflow. The new release will be unveiled at the upcoming Integrated Systems Europe (ISE), February 6 to 9 in Amsterdam. This powerful feature is in direct response to customer feedback and is especially responsive to European integrator needs. Set a default selling currency for their company (or for each of their company’s office locations). 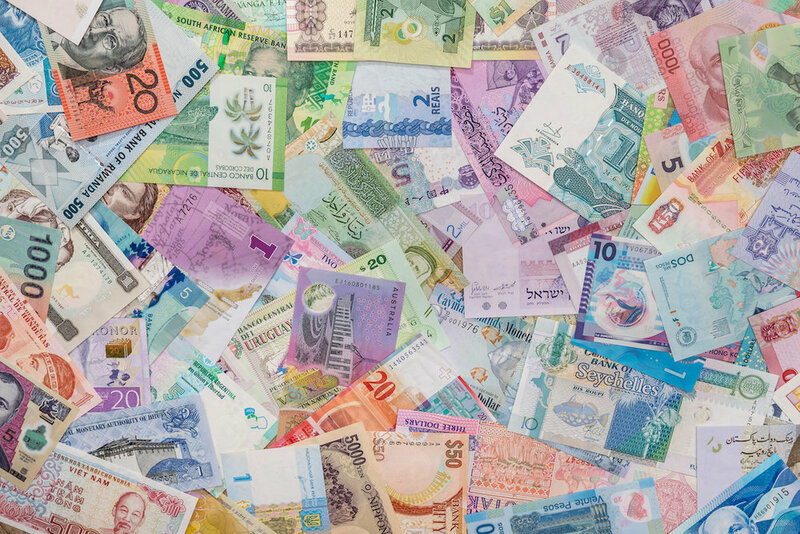 Define multiple purchasing currencies for each location, which then provides on-tap the A/V product lines which are available in those currencies. Attach a default selling currency to any client to be used for their future projects. Perform real-time currency conversion, updating costs and profit margins from the various purchasing currencies to the selling currency. No other A/V project platform allows users to readily populate a quote across currencies and differing regional variations in product lines. Jetbuilt’s core features include the on-tap product database, dealer pricing integration, cloud team collaboration, change orders, purchase orders, accounting and CRM integrations, and their innovative Project Overview page. ISE attendees are invited to visit Stand 15-K220 to demo Jetbuilt to learn more about this powerful tool. Newport Beach, Calif. — July 19, 2017 — With weekend services averaging 26,000 attendees – making it one of the largest-attended churches in the United States – Willow Creek Church is by all definitions a true American non-denominational and multi-generational Evangelical Christian megachurch. Located in the Chicago suburb of South Barrington, Ill., the church’s internal production team, Willow Creek Production, is responsible for technical and creative arts at all Willow Creek Church facilities. To ease that colossal challenge, the production team has standardized Jetbuilt’s cloud-based AV proposal generation software to streamline its department procedures. Willow Creek Church’s original facility in South Barrington, IL., includes seating for 7,000 members and features services for a variety of needs for different age and people groups. Since its start in 1975, Willow Creek has expanded to additional locations in Chicago, Crystal Lake, West Chicago, Huntley, Glenview and Lincolnshire. With multiple locations, Willow Creek is serviced by Willow Creek Production to facilitate AV integration in auditoriums, activity centers, offices, meeting rooms and other community spaces. With facilities throughout the Chicago area and large audiences, it’s critical for Willow Creek Church to have state-of-the-art technology to provide their audience, both in-person and streaming online, with an unparalleled audio and video experience. Jetbuilt has enabled Willow Creek Production to generate proposals more efficiently, whether for an auditorium or a personal office, and to manage projects throughout the variety of extensions of the church. Once proposals are approved through executive departments, Jetbuilt allows users to reach out to contractors with a Request for Proposal within minutes. Users can manage photos, drawings, bid requirements, scope of work, and documents associated with the project, creating and delivering a high-end, comprehensive RFP. The project can also be shared with vendors to allow for straightforward and immediate collaboration. Users can chat as they work together to refine their project – while the original project remains saved. With Jetbuilt’s RFP feature, churches and other organizations can collaborate internally and interact on projects, a feature that is completely unique to Jetbuilt users. Jetbuilt, an online platform, allows users to collaborate with a team on any project and is compatible with any operating system including Apple and Windows and boasts hundreds of thousands of AV, IT and security products integrated into the system, as well as QuickBooks and Sage Accounting integration. Jetbuilt connects with vendors to provide direct and distributor dealer pricing, custom products and more. More than just a proposal builder, Jetbuilt allows users to work independently or collaborate on a live project, create project scopes, deliver request for proposals to clients, budget systems and request and manage bids from vendors. For more information on Jetbuilt’s proposal and estimation software for churches, please visit https://www.jetbuilt.com/churches. Newport Beach, Calif. – March 13, 2017 – Jetbuilt, a provider of industry-leading web-based Mac and PC AV proposal and estimation software, announces customer relations management functionality, as a new optional add-on to the Jetbuilt platform. For a limited time, existing and new users will be eligible to receive Jetbuilt’s CRM feature for free throughout the life of their account. The added tool, a supplemental module within Jetbuilt, will ultimately be listed as an extra package option for future subscribers. Jetbuilt’s new CRM functionality allows users to track potential clients while including multiple contacts, including description and contact information. Tasks, such as callbacks and outlines, can be tracked for each client and can include due dates, which will turn red once it’s overdue, and include email notifications once they’re assigned to a team member. Morning Coffee emails from Jetbuilt will feature Tasks, giving users another helpful reminder at the start of their day. Within a client’s page, notes can be added to include follow-up details, notes from previous conversations and more. Opportunities can be created for clients, including projected budget, probability and close date and can be transitioned from an Opportunity to an actual Estimate with a simple click of a button. Salespeople and managers can accurately track their pipelines by probability before and during the estimating process, seeing how much is likely to close and when. The enhanced Dashboard features the total pipeline, both absolute and probable. For more information on Jetbuilt, please visit www.jetbuilt.com. Keep up with the latest news from Jetbuilt through Facebook, Twitter and Vimeo. Newport Beach, Calif. – January 31, 2016 – Jetbuilt, a provider of industry-leading web-based Mac and PC AV proposal and estimation software, announces a partnership with VidCAD Phoenix, a provider of cutting-edge solutions to address the design and documentation needs of engineers, designers and installers, to provide valued Jetbuilt users with more solutions. Jetbuilt will showcase their new software offerings at ISE 2017 in the VidCAD Phoenix stand, 2-E70. With the VidCAD Phoenix integration, Jetbuilt users can build and sell their project in Jetbuilt, and with the simple push of a button, have their project show up in VidCAD Phoenix. Each item in Jetbuilt can be moved into a drawing set. By integrating VidCAD Phoenix into Jetbuilt, users can quickly pull drawings into Jetbuilt for detailed quotes, all within minutes. For 30 years, the VidCAD Phoenix software family has offered cutting-edge solutions to address the design and documentation needs of engineers, designers and installers. Jetbuilt is pleased to partner with VidCAD Phoenix to provide their users with solutions that transform the way proposals are built. The initial phase of VidCAD and Jetbuilt integration will be showcased at ISE 2017, with the full integration set to launch in Spring 2017. Visit Jetbuilt at ISE 2017 in Amsterdam, Netherlands from February 7th – 10th, 2017 in the VidCAD Phoenix stand, 2-E70. For more information on Jetbuilt, please visit www.jetbuilt.com. Keep up with the latest news from Jetbuilt through Facebook, Twitter and Vimeo. Newport Beach, Calif. — December 29, 2016 — With a student body of nearly 54,000, Florida International University (FIU) – ranked ten among the nation for largest public university – utilizes Jetbuilt to create more professional and efficient proposals for technology projects throughout its campus. With Jetbuilt, FIU’s Media Technology Services department has increased accountability for billing internal client needs, project sharing information, product inventory and tracking proposals, filling the need for a versatile, reliable proposal building and project software for Miami’s first and only public research university. Florida International University’s Department of Media Technology Services serves the university as the in-house custom integrators for technology in the university’s common areas, as well as for various departments with specific technology needs. The Department of Media Technology Services has transformed department procedures using Jetbuilt. 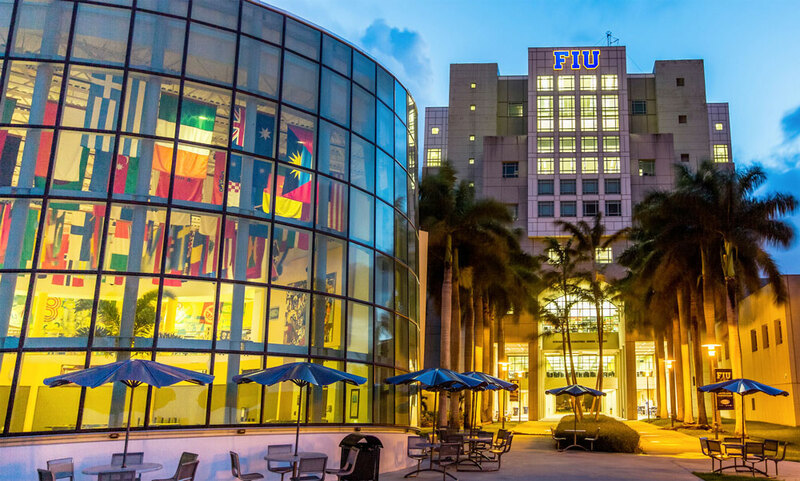 Recognized by Bloomberg Business Week as the leading college for diverse business studies, Florida International University has two major campuses, located in West Miami-Dade County and Biscayne Bay. With a large campus, it can be cumbersome to keep proposals and products organized in order to maintain the technology to provide the highest-quality learning for students, making it crucial to have a reliable resource. Jetbuilt allows users to collaborate with a team on any project and is compatible with Windows, Mac and iOS. It’s cloud based technology allows a team to work anywhere and everywhere without the hassle of VPN routers. Jetbuilt boasts hundreds of thousands of AV, IT and security products integrated into the system, as well as QuickBooks integration. Jetbuilt connects with vendors to provide direct and distributor dealer pricing, custom products and more. More than just a proposal builder, Jetbuilt allows users to work independently or collaborate on a live project, create project scopes, budgets and deliver request for proposals to clients, budget systems and request and manage bids from vendors. For more information on Jetbuilt’s proposal and estimation software, please visit Jetbuilt.com. Jetbuilt is an international industry-leading web-based AV proposal and estimation software. The California based AV software was founded by Grammy nominated studio engineer, award winning web designer and AV integrator, Paul Dexter, to create time-efficient and professional proposals. Compatible with both PC and Mac platforms, Jetbuilt estimates projects efficiently with an integrated product database, dealer pricing, team collaboration, change orders, work orders, QuickBooks integration and their innovative project overview page – all at lighting speed. For more information, please visit Jetbuilt.com. Newport Beach, Calif. — October 27, 2016 — The United States’ federal executive department, the Department of State – responsible for the international relations of the United States – has streamlined their Performance Work Statement within the Video Program Office with Jetbuilt’s Request for Proposal features. With Jetbuilt, the Video Program Office can now create solid proposals for new or renovated A/V room designs to constituents at United States embassies, consulates, posts and administrative offices throughout the world in a more efficient and standardized process than ever before. As Jetbuilt users create their Request for Proposals, they can manage photos, drawings and documents associated with the project and effortlessly drop in products from the Jetbuilt database before budgeting their projects and finally creating and delivering a high-end, comprehensive RFP. Then, the project can be shared with vendors to allow for straightforward and immediate collaboration. Users can chat as they work together to refine their project – while the original project remains saved. This allows the project to evolve while working with a selected vendor. For more information on Jetbuilt’s proposal and estimation software, please visit Jetbuilt.com. Jetbuilt is an international industry-leading web-based AV proposal and estimation software. The California based AV software was founded by Grammy nominated studio engineer, award winning web designer and AV integrator, Paul Dexter, to create time-efficient and professional proposals. Compatible with both PC and Mac platforms, Jetbuilt estimates projects efficiently with an integrated product database, dealer pricing, team collaboration, location-based sales tax, purchase order, QuickBooks integration and their innovative project overview page – all at lighting speed. For more information, please visit Jetbuilt.com. Newport Beach, Calif. – October 10, 2016 – Jetbuilt, a provider of industry-leading and web-based AV proposal and estimation software, announces Enterprise, a new platform featuring additional tools supplemental to the existing Standard platform, designed specifically for larger businesses and corporations. Enterprise, now available from Jetbuilt, includes customizable labor features, QuickBooks Enterprise integration, sales management tools and access controls. Enterprise was designed for organizations with multiple management tiers or sales teams and includes the same features in the Standard package, now with even more added capabilities. Standard and Enterprise users will experience the same Project Builder estimating and budgeting tools, JetbuiltGO client-facing iPad app, project share with vendors, clients and others, access to images, drawings and documents shared in the cloud, dealer pricing integration and more. With Enterprise, users will also have access to 16 customizable labor categories, QuickBooks Enterprise integration, pipeline reports for all sales representatives, project sharing between multiple sales representatives and enhanced control features that provide the ability to restrict which users can add new items and view profit margins. Jetbuilt’s Enterprise package includes all features in the Standard package, such as comprehensive and intuitive proposal designer, purchase order functionality, change order functionality, project versioning, team collaboration and team discussion threads for each project. For more information on Jetbuilt’s Enterprise platform, and a special offer for all existing users, watch the Enterprise Announcement. For more information on Jetbuilt, please visit Jetbuilt.com. Keep up with the latest news from Jetbuilt through Facebook, Twitter and YouTube. Jetbuilt is an international industry-leading and web-based AV proposal and estimation software. The California based AV software was founded by Grammy nominated studio engineer and award winning web designer, Paul Dexter, to create time-efficient and professional proposals. Compatible with both PC and Apple software, Jetbuilt estimates projects efficiently with integrated dealer pricing, sales tax based off location and QuickBooks – all in lighting speed. For more information, please visit Jetbuilt.com. Newport Beach, Calif. – August 29, 2016 – Jetbuilt, a provider of industry-leading web-based Mac and PC AV proposal and estimation software, is making AV estimating and proposal building easier and more portable than ever with the introduction of the Jetbuilt iPad app. The new iPad app from Jetbuilt, set to launch at CEDIA 2016, will be available at no additional cost for Jetbuilt users. Jetbuilt’s iPad app was designed as a companion product that focuses directly on the client – helping integrators build a project alongside their client. Users can create a new project quickly, with a minimal number of fields, to keep things moving fast. Once projects are created, it’s simple to assign rooms and systems from a roster of user defaults or custom fields. Then, items or assemblies can be dragged into to any room in the project. By creating ‘Bundles’ and ‘Favorites,’ the cost, shipping and labor values are already attached to the item and calculated, allowing clients to view their project with the total cost displayed. Users can click on a room or system to "Mute" it and remove the pricing, providing the client a transparent way to select the features they want within the budget they like. Once a project is created to the client’s liking, they can sign to buy, allowing them to buy the project on the spot or the user can email the proposal to the client. Meanwhile, each project created with Jetbuilt’s iPad app is instantly available those back at the office, allowing them to contribute to projects in real-time. Additionally, Jetbuilt users can take photos of the project and upload them in real-time, where they will be placed into Jetbuilt’s ‘Asset’ portal. Users can simply use the iPad app on a consultation to take project photos and populate various items discussed and finish the proposal later through the web software. While Jetbuilt is built for projects of all sizes, the iPad app was designed for small to medium residential projects and small commercial projects, such as restaurants and retails. Visit Jetbuilt in booth 8205 at CEDIA 2016 in Dallas, Texas from September 15th to 17th to learn about their industry-leading and web-based AV estimation and proposal software and see first-hand just how simple it is to create a proposal. For more information on Jetbuilt, please visit Jetbuilt.com. Keep up with the latest news from Jetbuilt through Facebook, Twitter, and YouTube. Newport Beach, Calif. – January 28, 2016 – Jetbuilt, a provider of industry-leading web-based Mac and PC AV proposal and estimation software, announces the official launch of purchase order integration to their domestic and international software at Integrated Systems Europe 2016. Jetbuilt has released purchase order integration into their software to enable dealers to order the items in their projects with a simple click. Once the proposal is converted to a job, the option to send purchase orders for the initial project phase is offered. This added feature is included in the dealer’s subscription and will remain a free feature for all dealers who subscribe to Jetbuilt software before the in-application project management tools are released later this year. Jetbuilt invites ISE 2016 attendees to visit their booth in the Diamond Lounge at booth DL146 to learn about their industry-leading and web-based AV estimation and proposal software and see first-hand just how simple it is to create a proposal. Network with Jetbuilt executives, users, manufacturers and more at Jetbuilt’s evening social event during ISE 2016. Interested in attending? Contact Seth Rubenstein at Seth@Jetbuilt.com for more details. Jetbuilt recently announced the international platform of their online AV proposal and estimation software to reflect international currencies, products and more to benefit the dealers located outside the US. Everything in Jetbuilt is done moving forward, never requiring the user to go to the ‘basement’ of the application to setup items or clients in advance. Anything can be added on the fly while estimating a project. The Jetbuilt AV proposal and estimating software works on a Mac or PC or Mobile and includes a robust database of products that are updated by the Jetbuilt team as manufacturers release new products. Integrators can include their own labor and design rates which the software then recalls for subsequent proposals. Users can bundle their go-to systems and packages and drop them into future projects with one step. Additional features include automated location-based sales tax, QuickBooks integration, budget tracking, and auto data fill-ins. The simple and easy to use software creates beautiful and professional proposals and features a dashboard for dealers to track their pipeline, clients, proposal status and budgeting allowing integrators to track profits and margins from each project. Additionally, Jetbuilt includes collaboration and access to team members’ progress, whether they’re in the adjacent cubicle or across the country. Jetbuilt is an international industry-leading web-based AV proposal and estimation software. The California based AV software was founded by Grammy nominated studio engineer, award winning web designer and AV integrator, Paul Dexter, to create time-efficient and professional proposals. Compatible with both PC and Apple platforms, Jetbuilt estimates projects efficiently with an integrated product database, dealer pricing, user-average labor rates, location-based sales tax, purchase order and QuickBooks integration on a singular project overview page – all in lighting speed. For more information, please visit www.jetbuilt.com. Costa Mesa, Calif. – January 20, 2016 – Jetbuilt, a provider of industry-leading and web-based AV proposal and estimation software, announces a quarterly offer with Pulse-Eight, a provider of HDBaseT video distribution technologies in the United Kingdom. Customers will receive a free three-month subscription of Jetbuilt with participating purchases through Pulse-Eight. Jetbuilt partners with Pulse-Eight to celebrate their international version of web-based AV proposal software and attendance at the upcoming ISE 2016 in Amsterdam, Netherlands. With over 25% of dealers located internationally and hundreds of manufacturer partners, Jetbuilt provides product information, expertise and integrated services with incorporated dealer pricing, sales tax and international currencies. Through the special vendor sponsorship, customers can receive up to a year subscription of Jetbuilt for free. The rolling offer is available per quarter, allowing customers that purchase one Pulse-Eight matrix switcher a three-month subscription of Jetbuilt’s AV proposal and estimation software. Jetbuilt will showcase their industry-leading and web-based AV estimation and proposal software at ISE 2016 from February 9th – 12th, 2016 at booth DL124. For more information on Jetbuilt, please visit www.jetbuilt.com. Keep up with the latest news from Jetbuilt through Facebook, Twitter and Vimeo. Jetbuilt is an international industry-leading and web-based AV proposal and estimation software. The California based AV software was founded by Grammy nominated studio engineer and award winning web designer, Paul Dexter, to create time-efficient and professional proposals. Compatible with both PC and Apple software, Jetbuilt estimates projects efficiently with integrated dealer pricing, sales tax based off location and QuickBooks on a singular project spreadsheet – all in lighting speed. For more information, please visit www.jetbuilt.com. Founded in 2010 and based in Poole, Dorset, UK. Pulse-Eight designs and manufacturers all of its video matrix products on site with its state of the art electronics manufacturing line. Building on the core HDBaseT technology stack, Pulse-Eight includes proprietary EDID manipulation, CEC and IR control features not found in other matrix solutions providing a rich and engaging experience for end customers and an even easier installation experience for installers. For more information, visit www.pulse-eight.com. Costa Mesa, Calif. – December 17, 2015 – Jetbuilt, a provider of industry-leading and web-based AV proposal and estimation software, has added Seth Rubenstein to the role of brand partnership and marketing development. Rubenstein will have a direct focus on product development, B2B marketing, creating partnerships, business development and sales within Jetbuilt. With an extensive history in the industry, including executive conference management for InfoComm International, board director and membership chair for CEDIA, sales director for D-Tools and director of sales and business development for Ihiji, Rubenstein brings years of experience and knowledge to Jetbuilt. Rubenstein is passionate about the services Jetbuilt provides and with his prior experience, he understands what dealers are looking for in AV proposal and estimating software. Jetbuilt recently announced the international platform of their online AV proposal and estimation software to reflect international currencies, products and more to benefit the dealers located outside the US. Everything in Jetbuilt is done moving forward, never requiring the user to go to the ‘basement’ of the application to setup items or clients in advance. Anything can be added on the fly while estimating a project. The Jetbuilt AV proposal and estimating software works on either a Mac or PC and includes a robust database of products that are updated by the Jetbuilt team as manufacturers release new products. Integrators can include their own labor and design rates which the software then recalls for subsequent proposals. Users can bundle their go-to systems and packages and drop them into future projects with one step. Additional features include automated location-based sales tax, integration with QuickBooks, budget tracking, and auto data fill-ins. To contact Seth Rubenstein directly, please email Seth@Jetbuilt.com or call +1 (770) 778-8552. For more information on Jetbuilt, please visit www.jetbuilt.com. Keep up with the latest news from Jetbuilt through Facebook, Twitter and Vimeo. Jetbuilt is an international industry-leading web-based AV proposal and estimation software. The California based AV software was founded by Grammy nominated studio engineer, award winning web designer and AV integrator, Paul Dexter, to create time-efficient and professional proposals. Compatible with both PC and MacOS platforms, Jetbuilt estimates projects efficiently with an integrated product database, dealer pricing, user-average labor rates, location-based sales tax, and QuickBooks integration on a singular project overview page – all in lighting speed. For more information, please visit www.jetbuilt.com. Costa Mesa, Calif. – December 07, 2015 – Jetbuilt, a provider of industry-leading and web-based AV estimation and proposal software, is pleased to announce the release of the international version of its software. Jetbuilt launched the US version in June 2015 and international integrators soon saw the benefits of the web-based, platform agnostic AV proposal software. As the only comprehensive AV proposal software that works on MacOS, integrators from Africa, South America, Canada, the UK and other locations gravitated to the Jetbuilt solution for easy, accurate proposals with elegant presentations. The international version includes currency options, default tax rates by country and the ability to label the tax fields (VAT, sales tax, labor tax, etc.). It uses the Queen’s English and includes products used in the global market. Over 25% of JetBuilt’s current customer base is now international dealers. Everything in Jetbuilt is done moving forward, never requiring the user to go to the ‘basement’ of the application to setup items or clients in advance. Anything can be added on the fly while estimating a project. The Jetbuilt AV proposal and estimating software works on either a Mac or PC and includes a robust database of products that are updated by the Jetbuilt team as manufacturers release new products. Integrated dealer pricing is managed via manufacturer authentication, by directly adding prices to a project, or uploading price sheets to Jetbuilt for free data entry to the dealer account. Integrators can include their own labor and design rates which the software then recalls for subsequent proposals. Users can bundle their go-to systems and packages and drop them into future projects with one step. Additional features include automated location-based sales tax, integration with QuickBooks, budget tracking, team collaboration and auto data fill-ins. The custom presentation tools allow dealers to create an elegant, professional customer proposals using simple drag-and-drop technology. Jetbuilt features a dashboard to track their pipeline, clients, proposal status and budgeting which allows integrators to track profits and margins from each project. Additionally, Jetbuilt allows collaboration and access to team member’s progress, whether they’re in the adjacent cubicle or across the country. Jetbuilt is an international industry-leading web-based AV proposal and estimation software. The California based AV software was founded by Grammy nominated studio engineer, award winning web designer and AV integrator, Paul Dexter, to create time-efficient and professional proposals. Compatible with both PC and Apple platforms, Jetbuilt estimates projects efficiently with an integrated product database, dealer pricing, user-average labor rates, location-based sales tax, and QuickBooks integration on a singular project overview page – all in lighting speed. For more information, please visit www.jetbuilt.com.